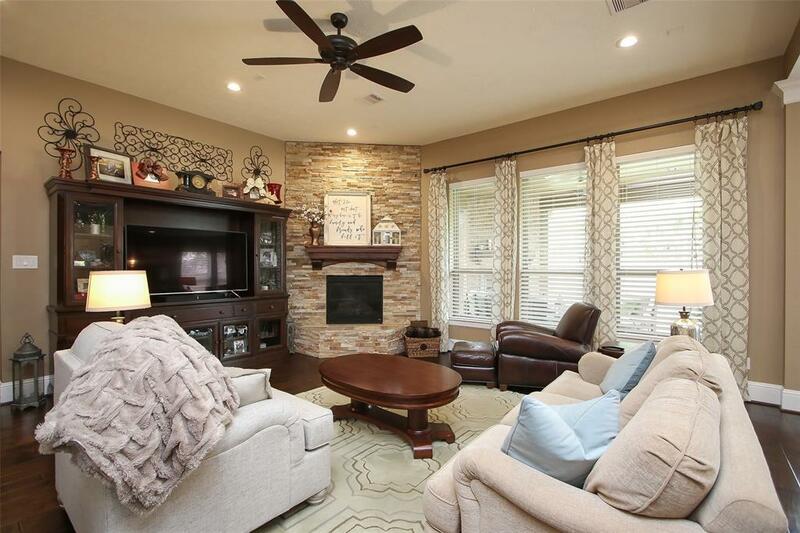 Life begins in Auburn Lakes - a community rich in amenities, wooded forests, and beautiful homes. 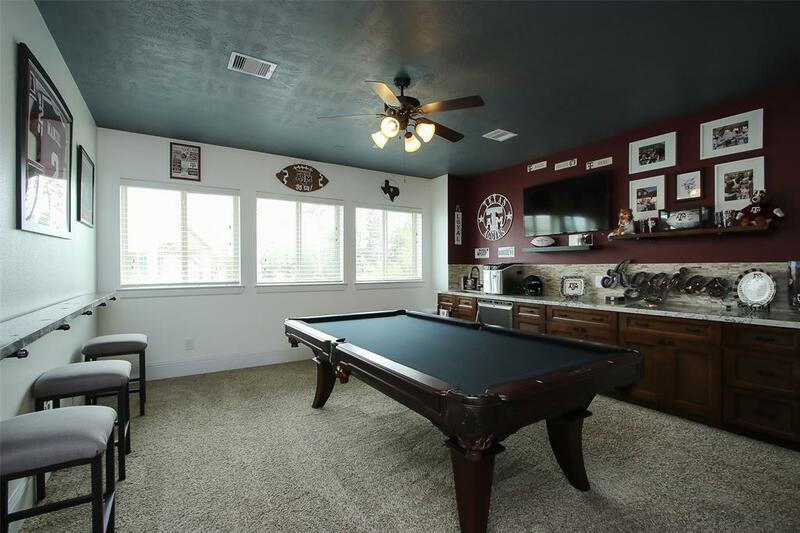 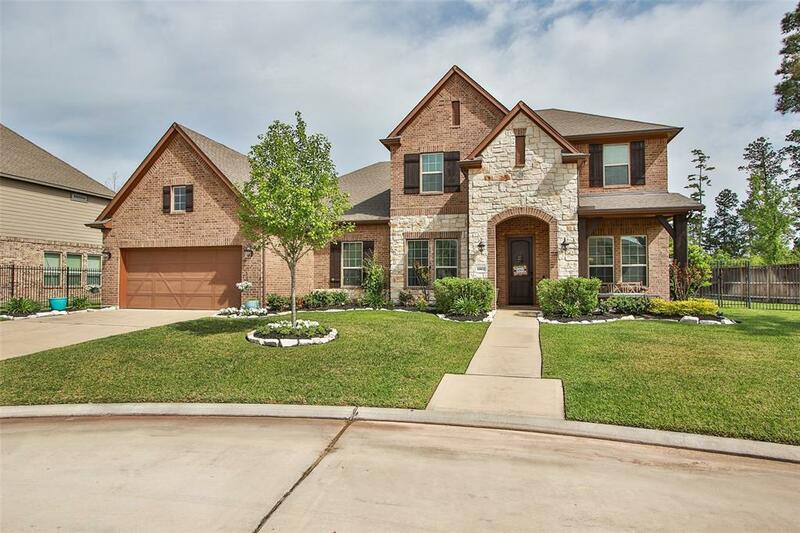 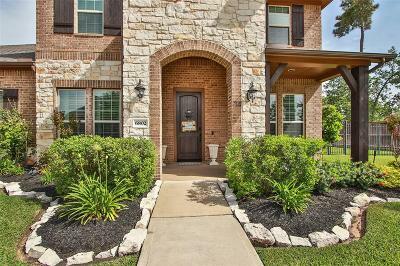 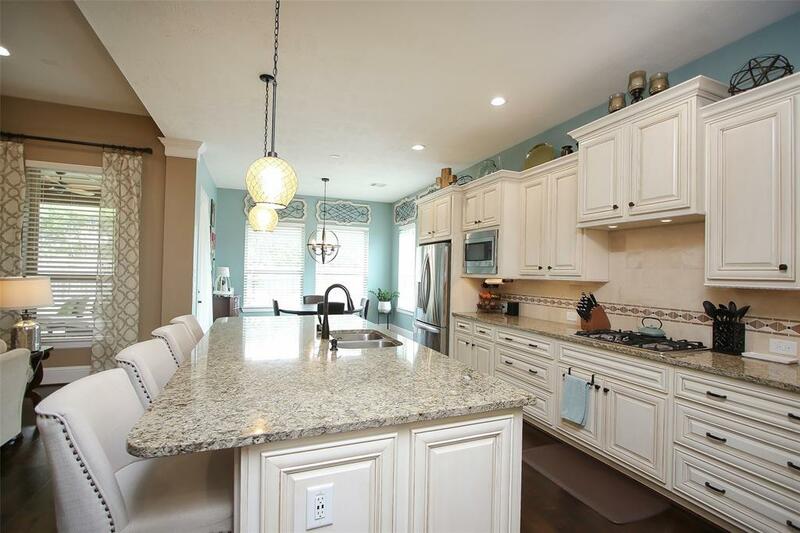 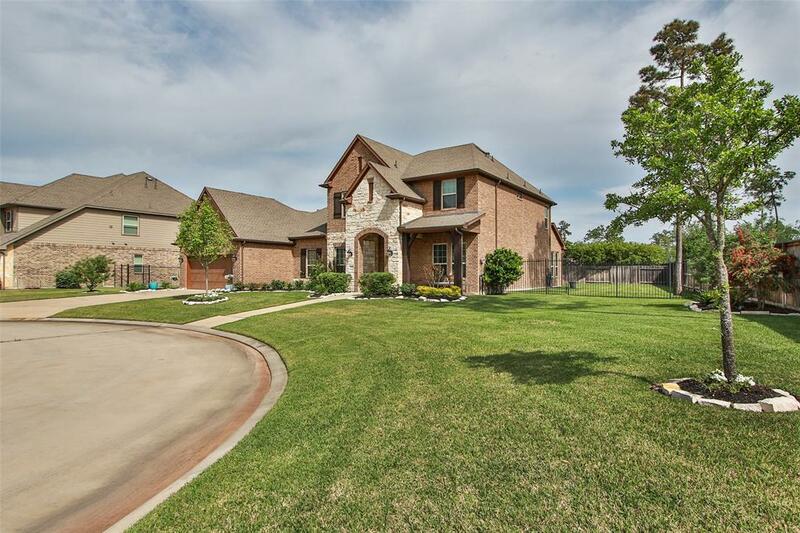 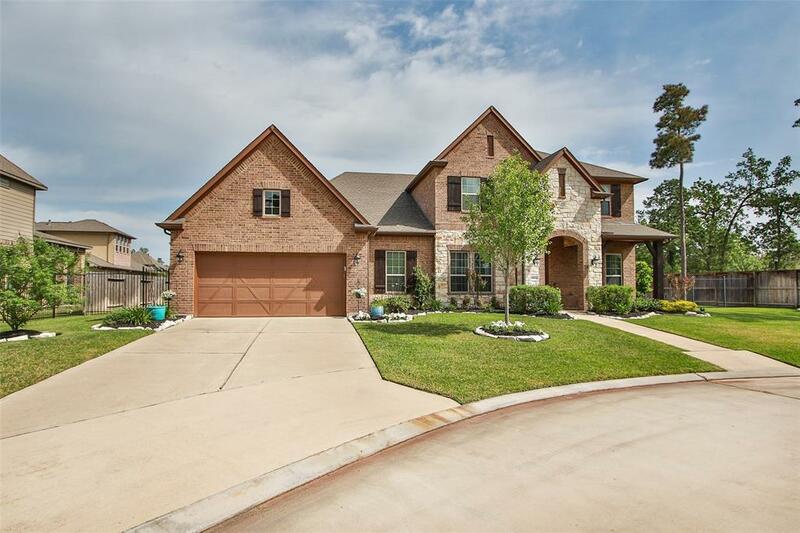 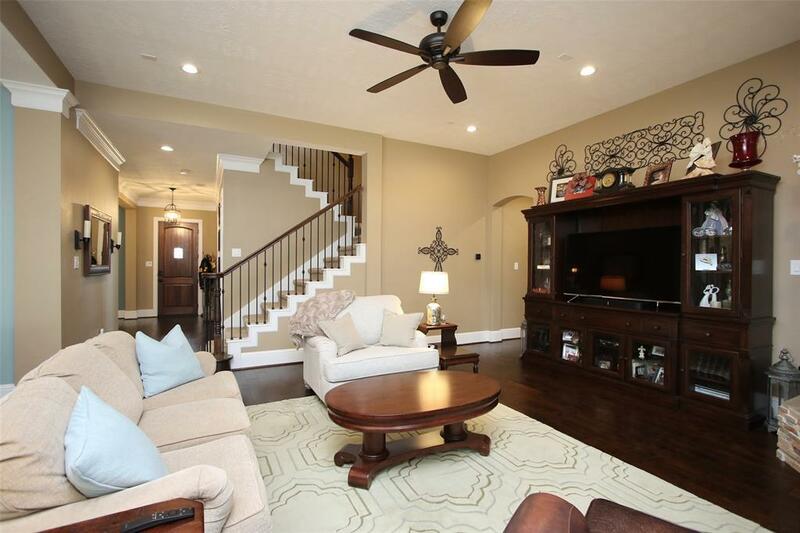 This 5-BR, 4.5 Bath with 3-car tandem Garage is loaded with designer upgrades, has a second bedroom suite downstairs, upstairs Game & Media Rooms, and Outdoor Living Area with fireplace. 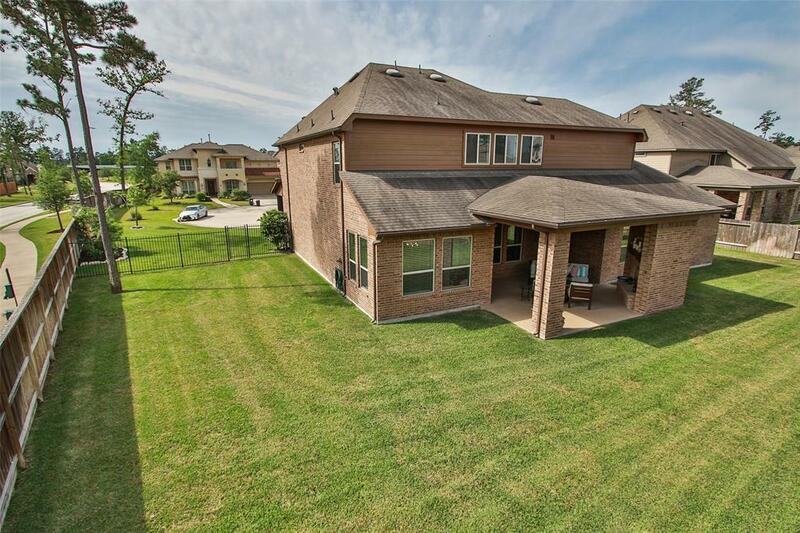 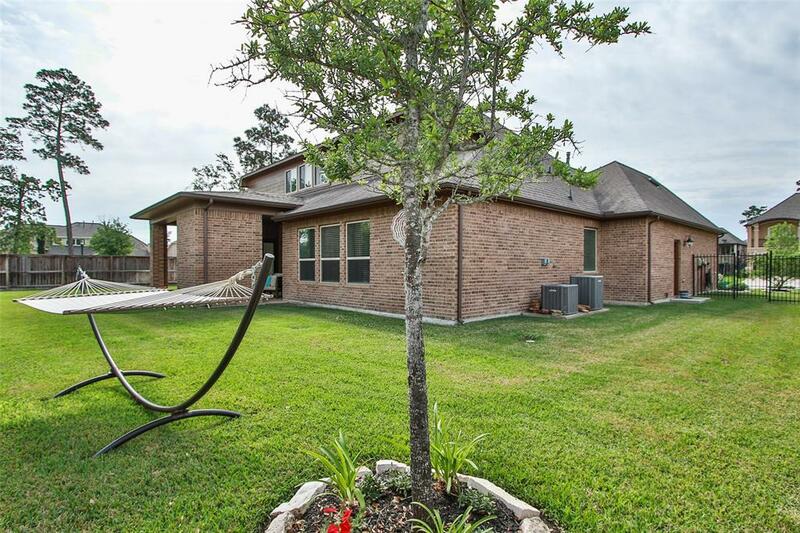 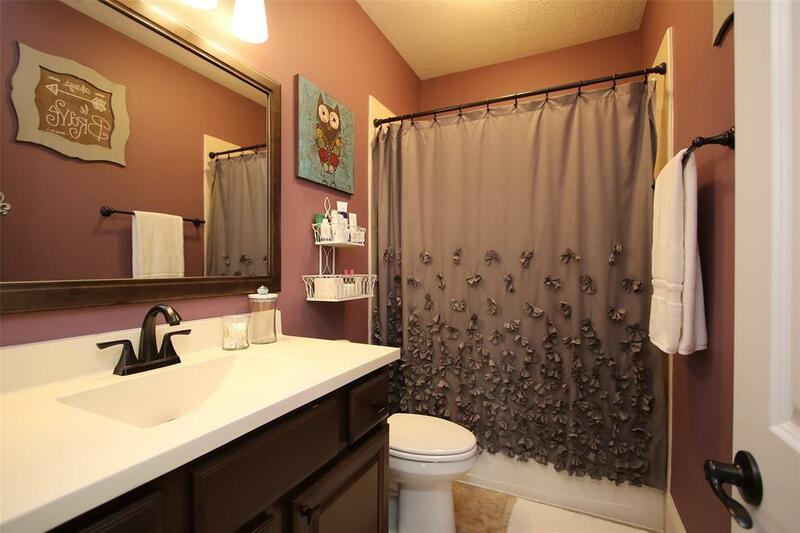 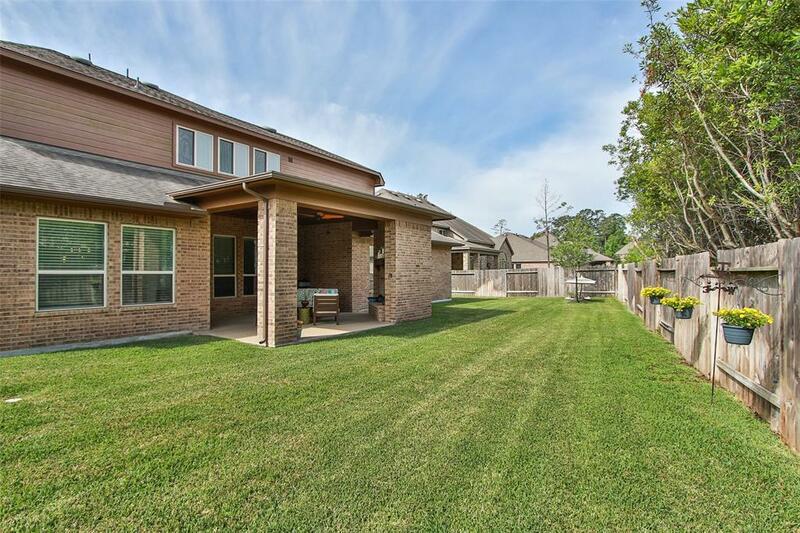 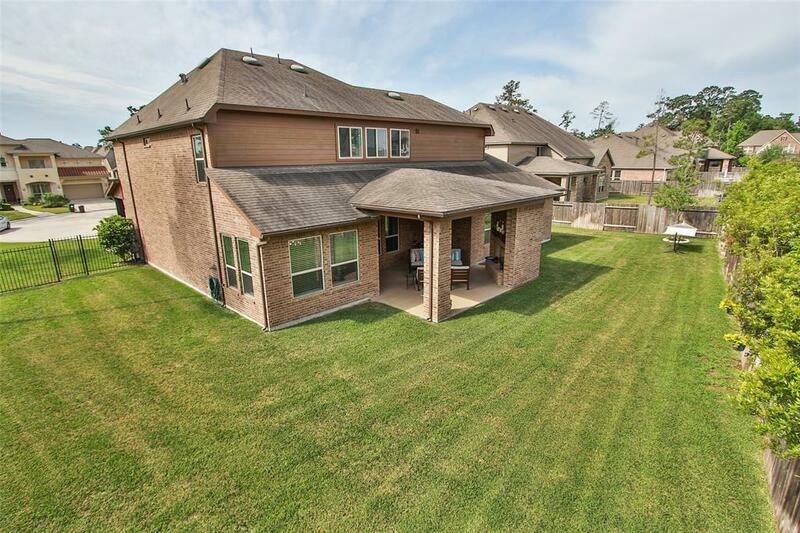 Situated on a huge cul-de-sac lot adjacent to walking trails. 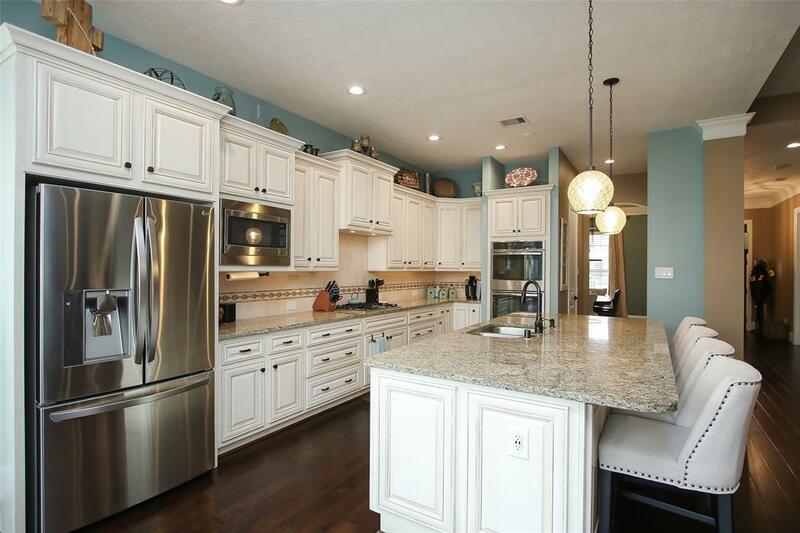 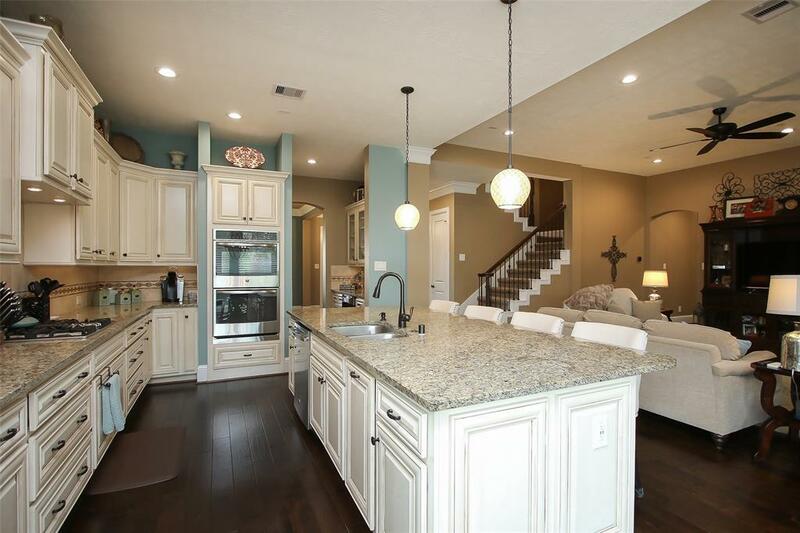 Chef's Kitchen features beautiful French Country cabinetry, SS appliances inc double convection oven, expansive island w/under mount sink. 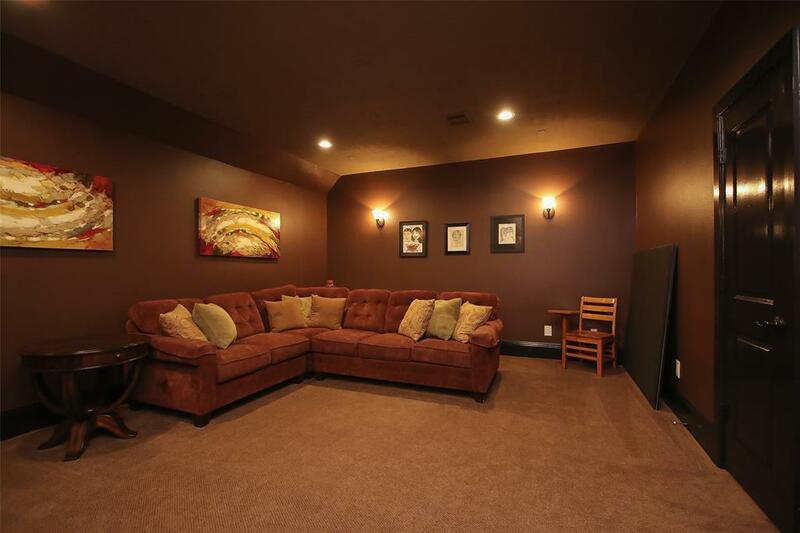 Rich, dark hardwoods in living areas. 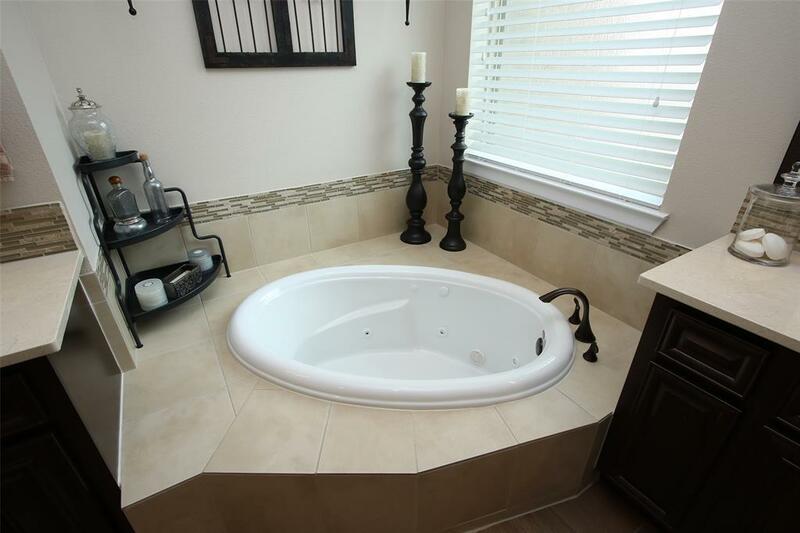 Luxurious Owner's Retreat features custom painted and tray ceiling, wall of windows, and resort-like Master Bath w/separate vanities, jetted tub, and glassed-in shower. 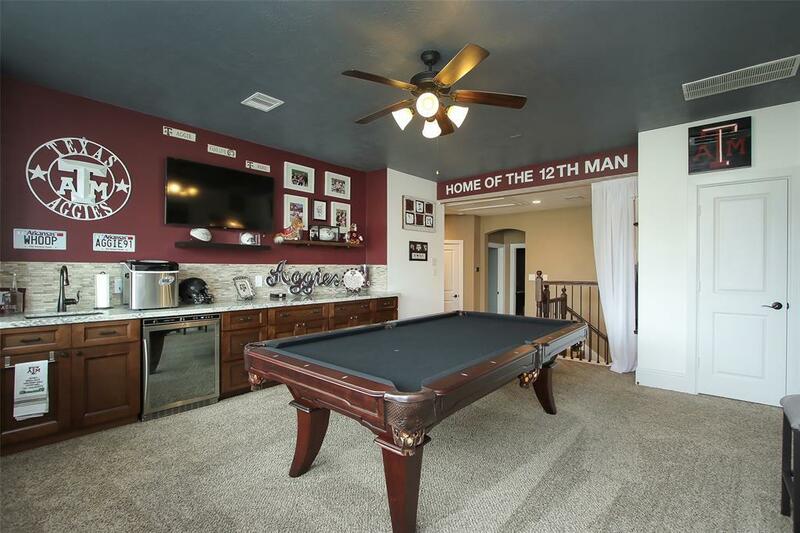 Texas Basement upstairs off Media Room. 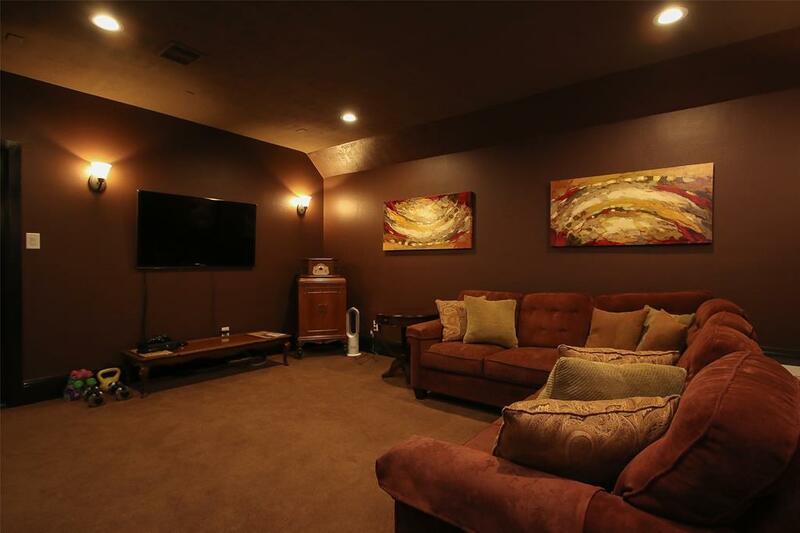 Home is wired for sound and enjoys wifi-controlled sprinkler system. 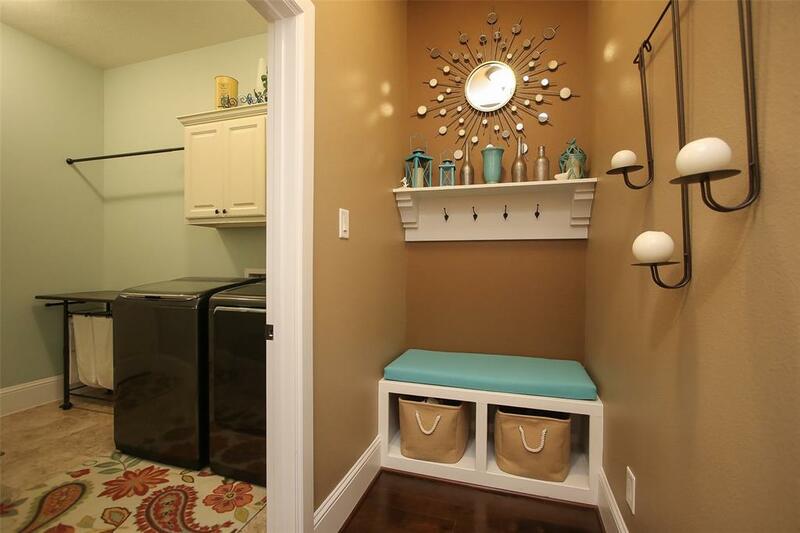 Lots of under stairs storage along overhead storage in garage. 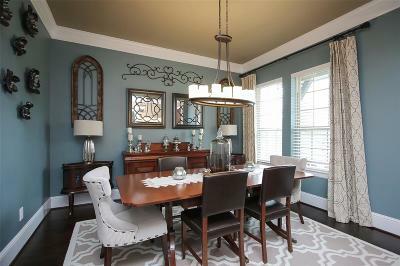 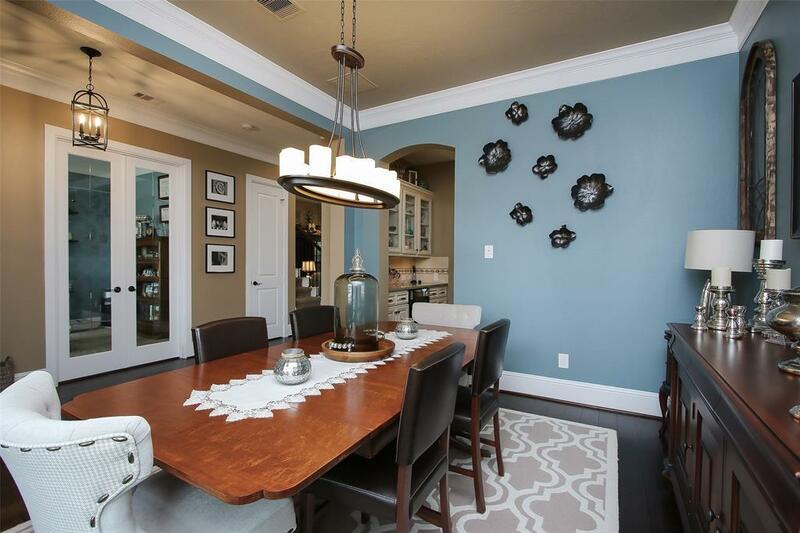 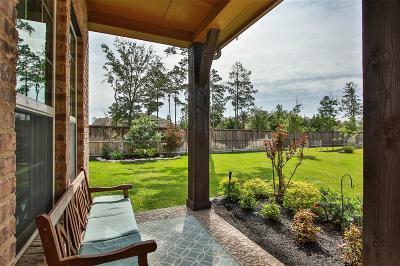 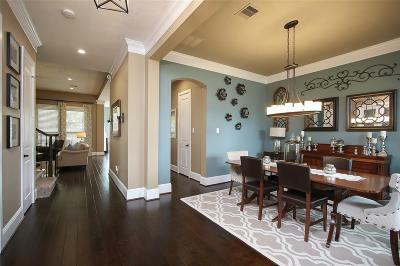 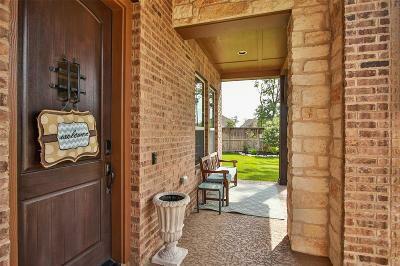 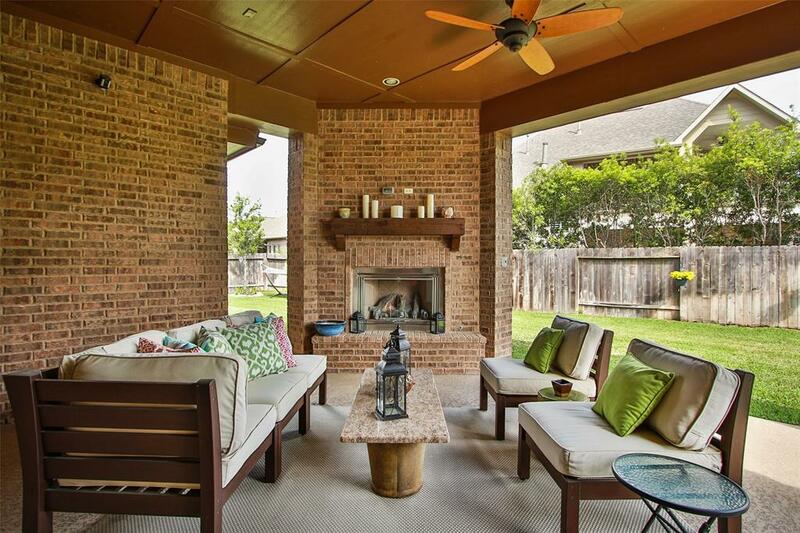 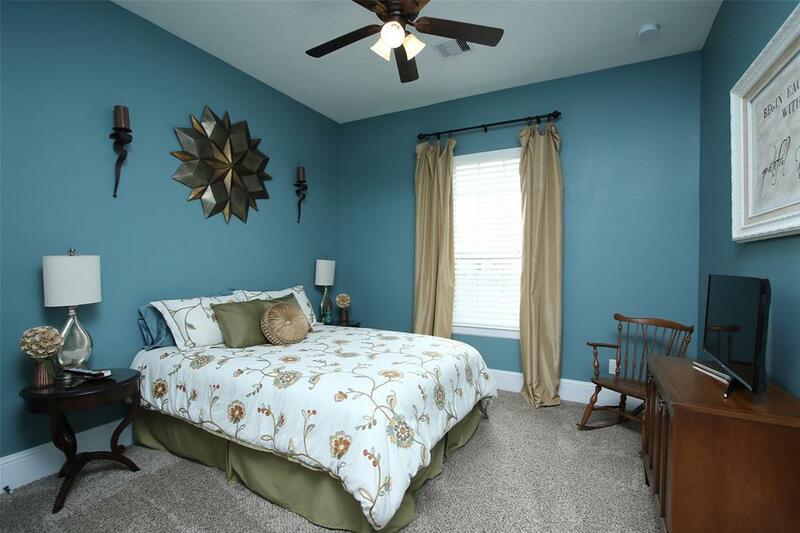 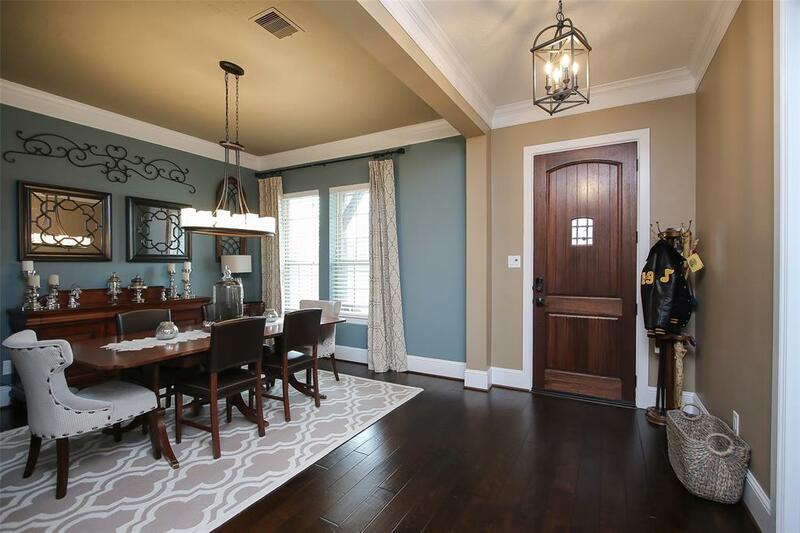 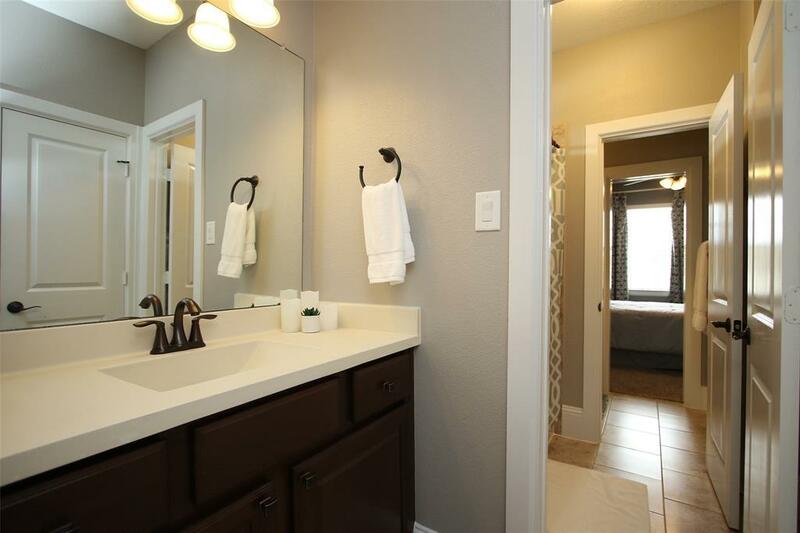 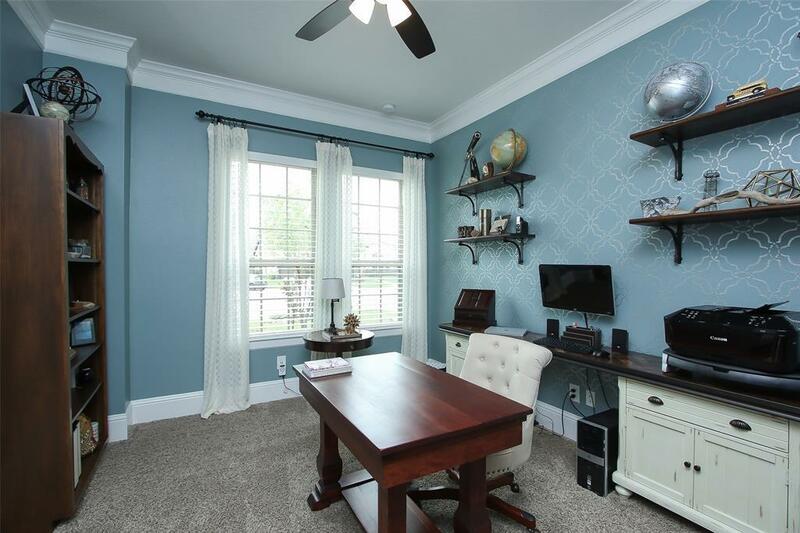 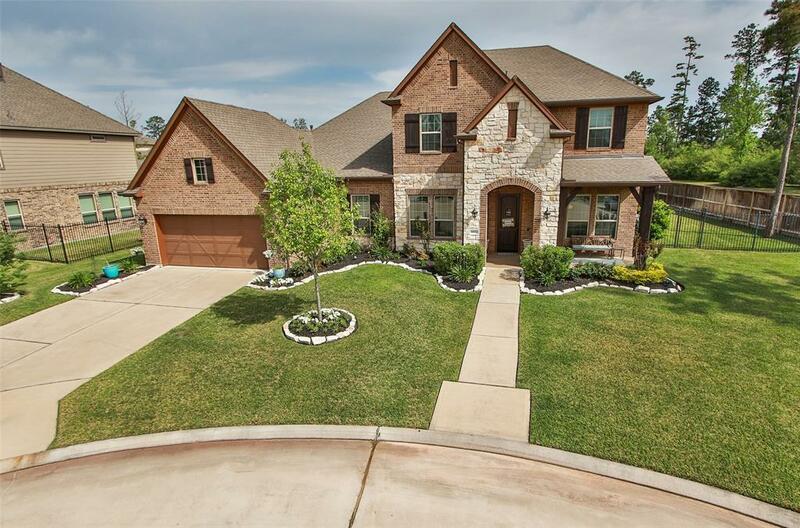 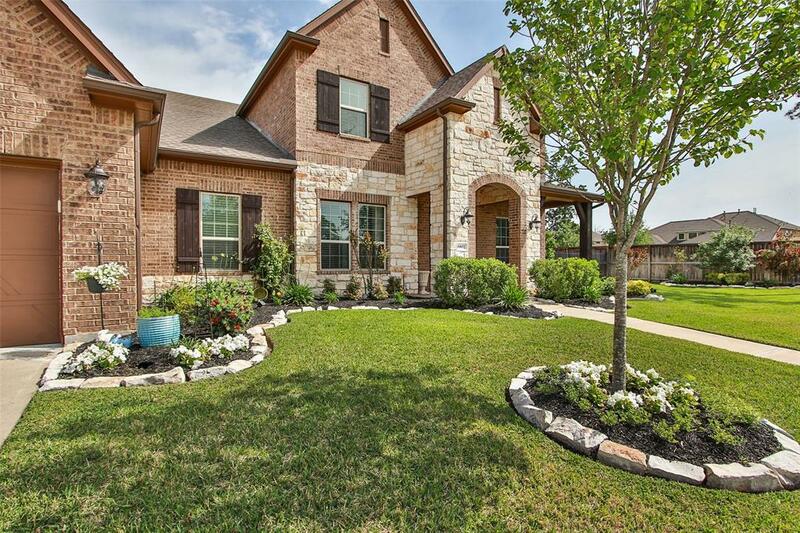 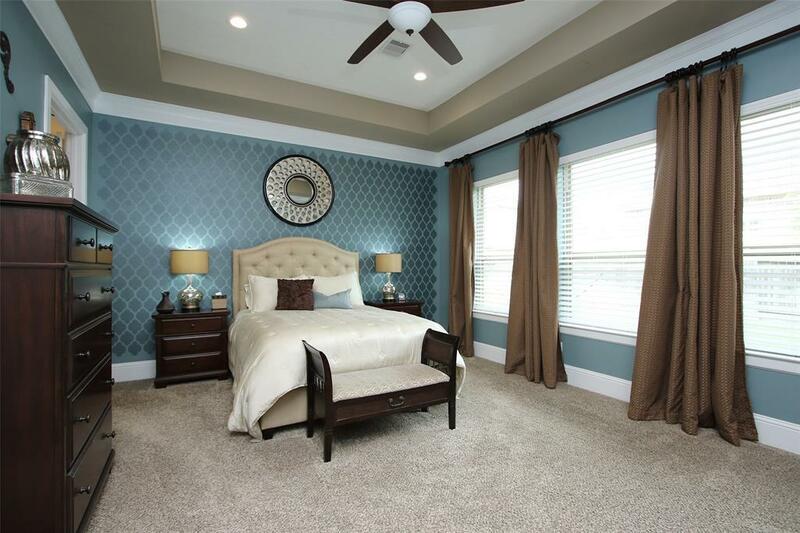 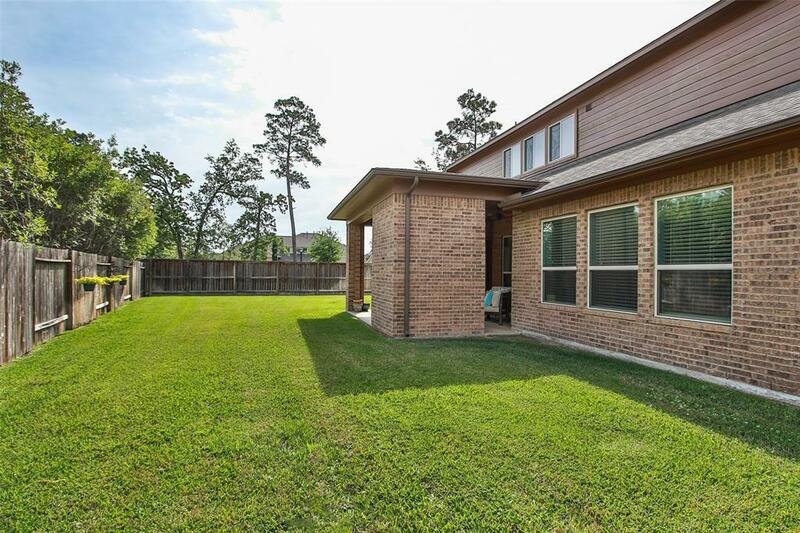 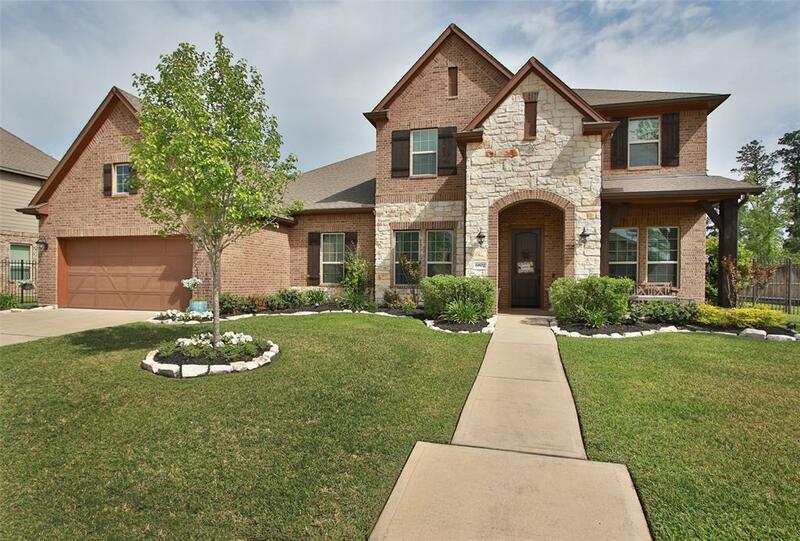 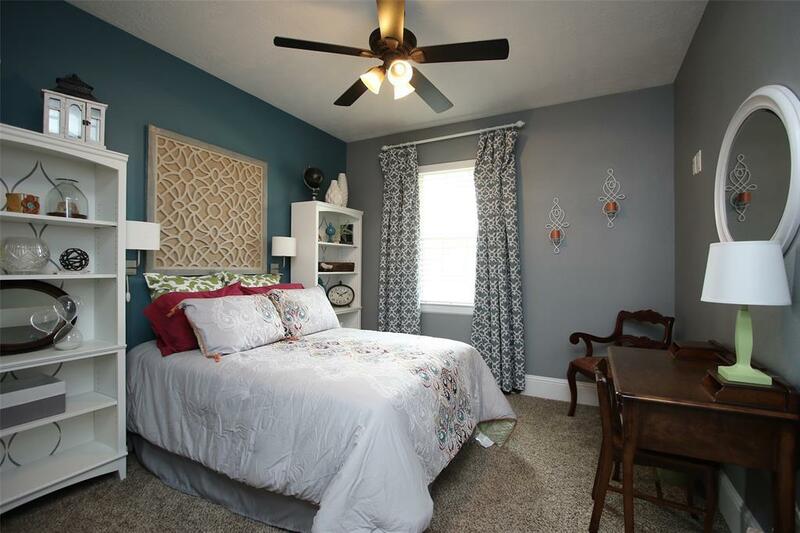 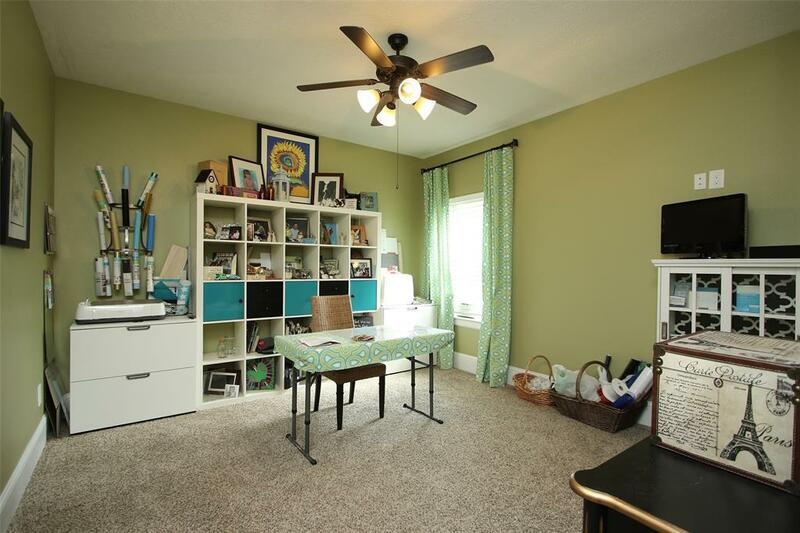 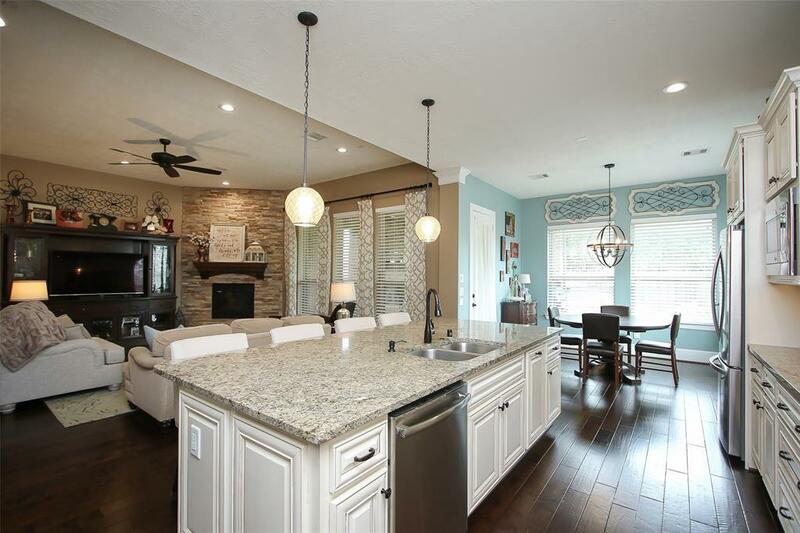 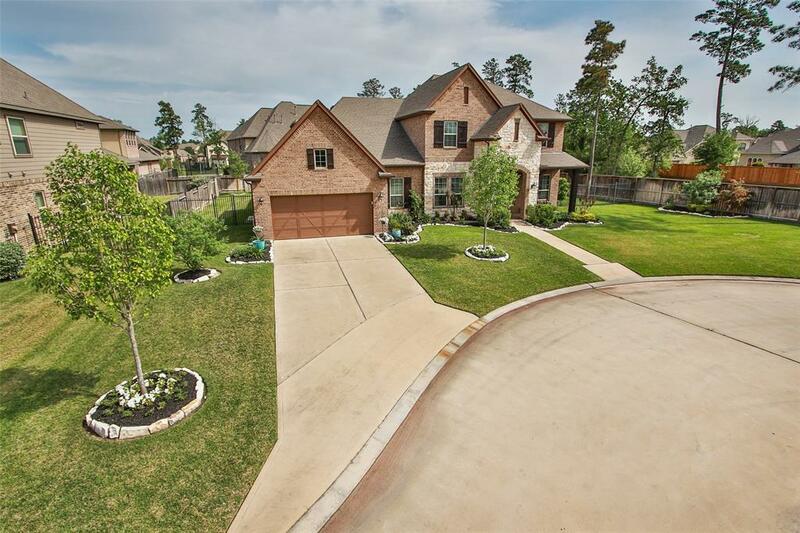 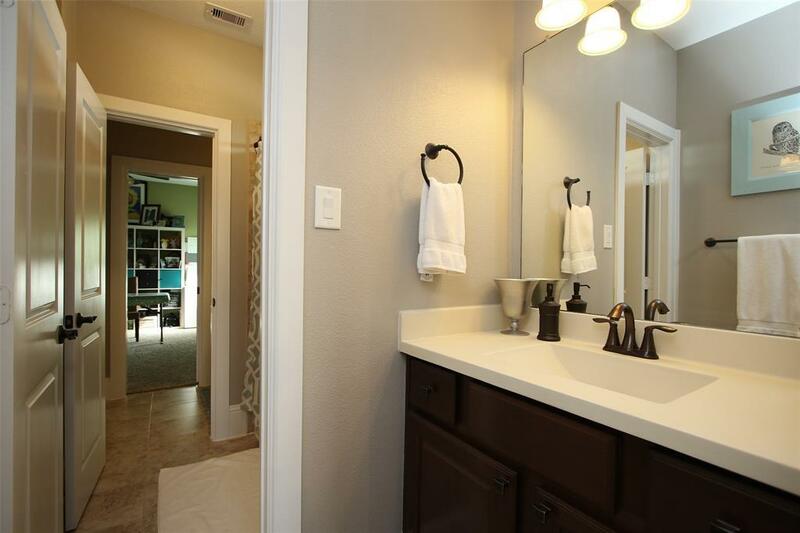 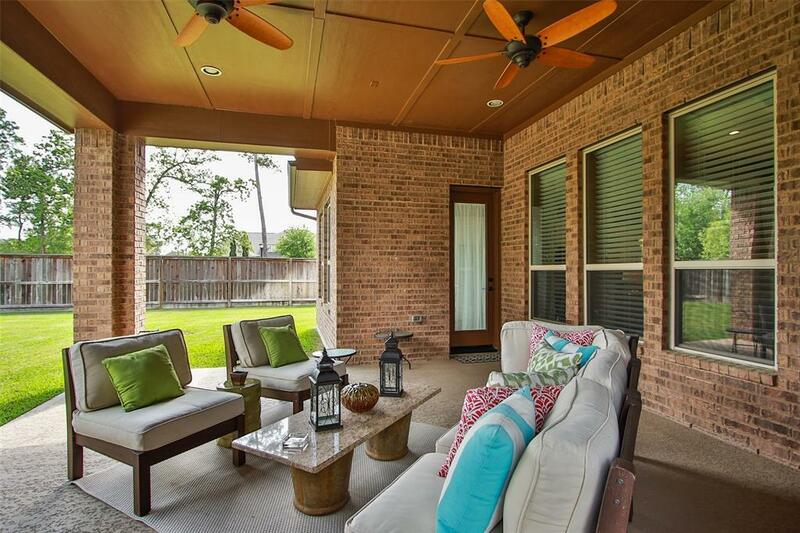 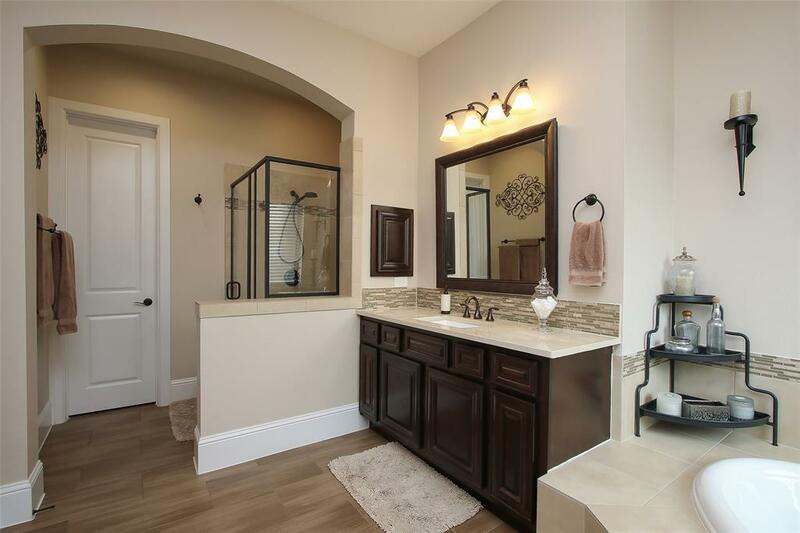 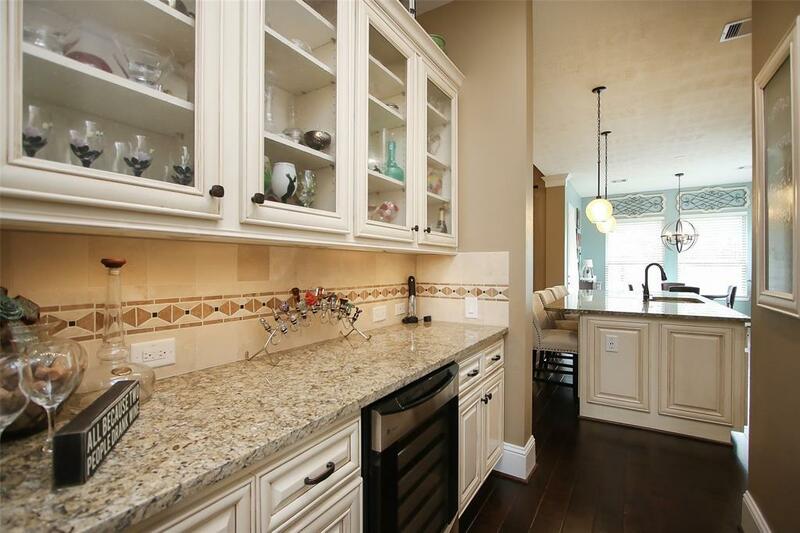 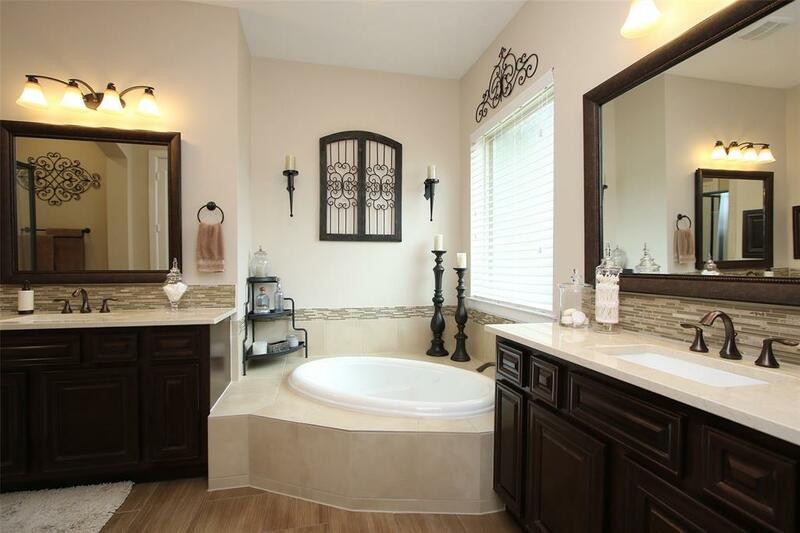 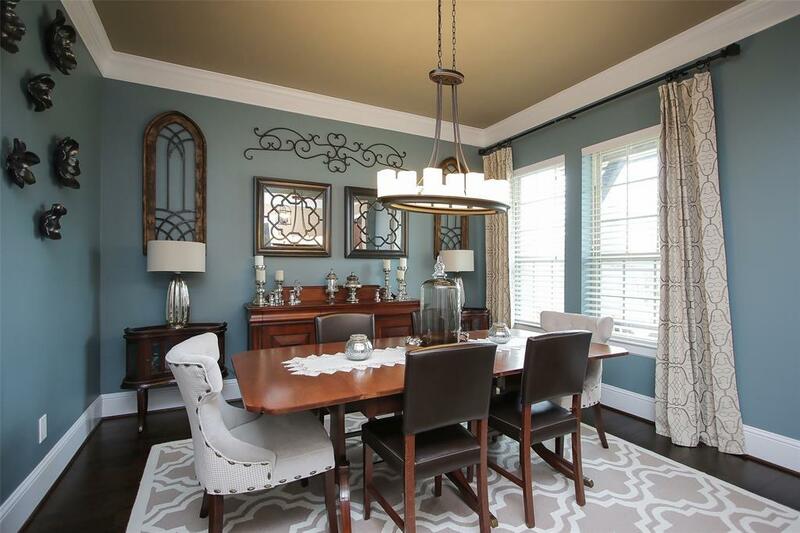 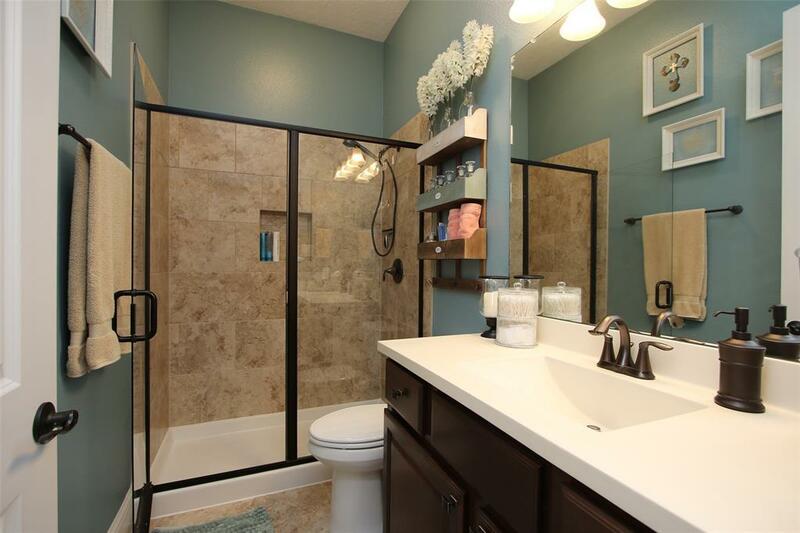 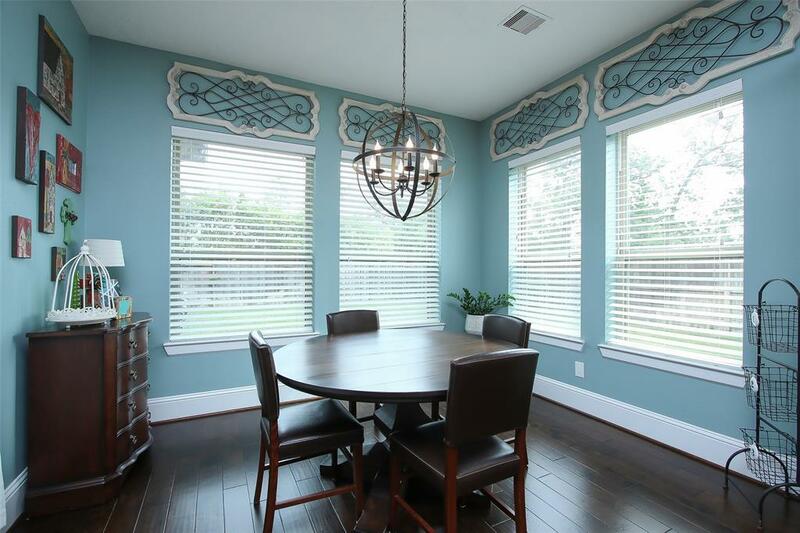 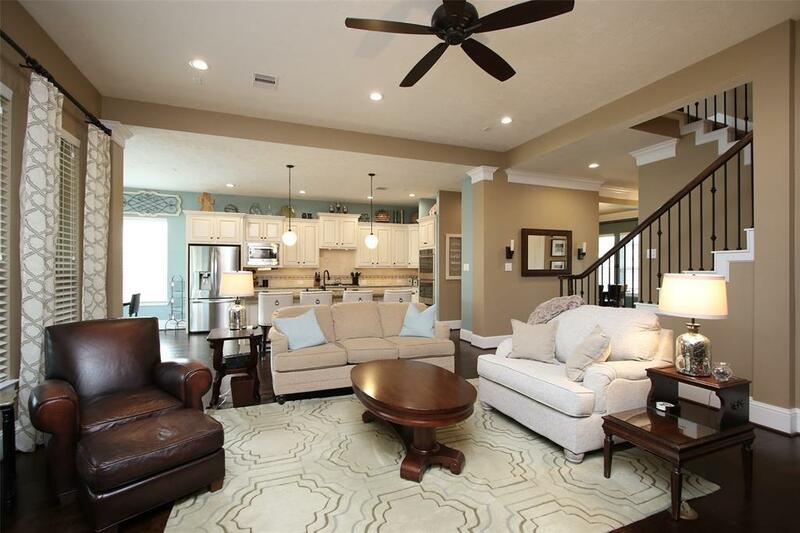 Built by award winning builder David Weekley & close to all The Woodlands has to offer.